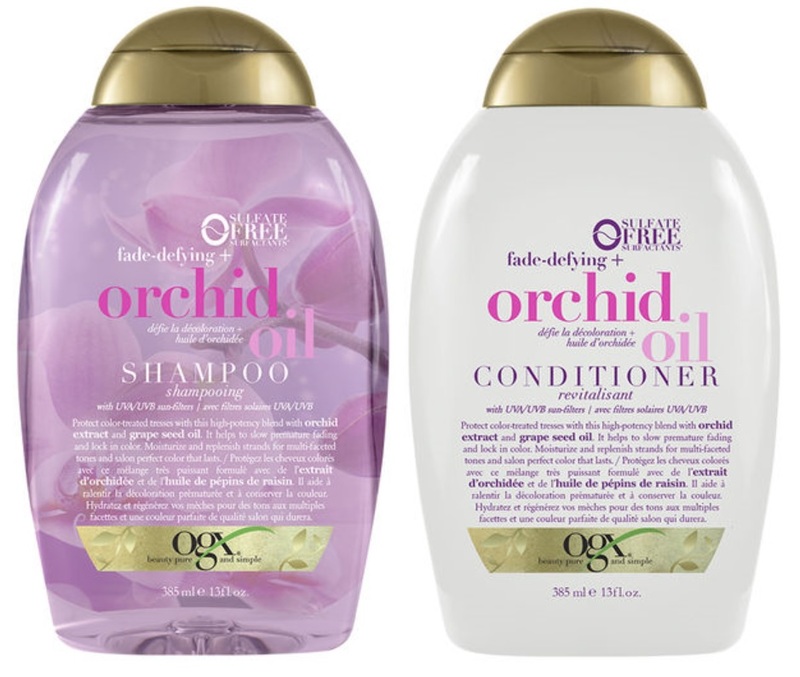 OGX Fade Defying + Orchid Oil Shampoo & Conditioner - 385ml - $9.99 - protects colour treated tresses with a high potency blend containing orchid extract and grape seed oil. Not only does it help to slow premature fading and locks in colour, but it also moisturizes and replenishs strands for multi-faceted tones and salon perfect colour that lasts! Available at retailers across Canada including Shoppers Drug Mart and Walmart.